If you had asked me 2 months ago what my favourite colour was - I would have said red. However... my favourite colour right at the moment is now yellow. I love it! I think it may have started with the tights, but now I am completely enthralled by it! 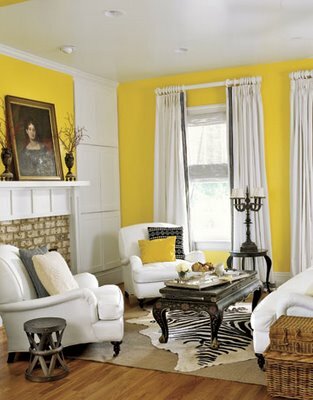 How lovely are these images of yellow within Interiors from Country Living... I am completely in love -all I need now is a house with walls I can actually paint!